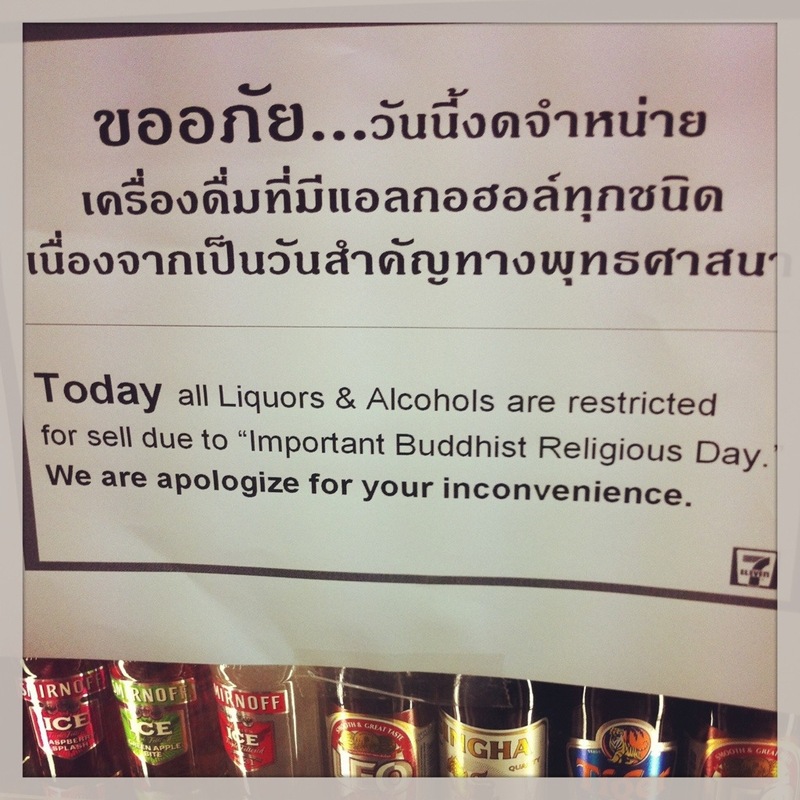 Lost in translation- a sign in the alcohol section of seven-11 with a few translation errors- I like the implication that alcohol could be sold on a Buddhist holiday that wasn’t deemed ‘important’. This entry was posted in Buddhism, photographs, Thailand and tagged alcohol, Bangkok, Buddhist holiday. Bookmark the permalink.